Matt is a Producing Broker, responsible for new business in the sports, high net worth and all other areas at BBi. Matt spent 4 years in Sports PR with a leading sport agency in world, working with players from Premier League & EFL. This included organising & facilitating a premier league tour to China showcasing football across 3 different cities, as well as managing 12 former Premier League footballers on the tour comprising Michael Owen, Paul Scholes, Marcel Desailly and Andy Cole to name a few. As a Producing Broker, Matt is focused on positioning BBi as the market-leading broker in sports professional insurance including car, house and career ending insurance as well as insurance for high net worth individuals and commercial insurance. What area of Insurance do you specialise in? What makes YOU the expert? Sports and entertainment and high net worth individuals along with commercial insurance. I differentiate our service through my personal, accessible approach; I am always available and my track record of a decade on working with sports professionals speaks for itself. How do I make a difference to your clients? Hard work. I work 24/7 and often help clients out of hours. Also, having worked in sport for many years I naturally understand the needs of sports professionals and this helps when dealing with any situation - I have seen it all. How would you describe BBi? 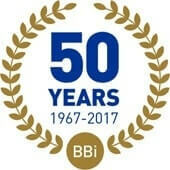 BBi encourages Entrepreneurial ideas and flexibility, can-do approach and always look to see how something can be achieved rather than dismissing ideas. Away from insurance - organising a 6 aside premier league show case for 12 premier league players in China. Not an easy task to manage high-profile players which include a few world cup winners, but it turned out to be a success. Within insurance – my relationship with underwriters. This has helped me cover young footballers on previously unattainable high value cars, extremely high value rings for fashion designers, and ensuring our high networth individuals have tailored to cover no matter what circumstances they find themselves in.